Before becoming a mama, I worked as a Special Education teacher. Every student I taught had some sort of speech need or delay and received services from a Speech-Language Pathologist. I was able to co-teach a lot of the therapy sessions and majority of my days were spent working on speech and language development. Now that I am a mom, I have found the importance of working on those language skills starting with board and picture books! It is important to remember that ALL children develop differently. No matter where your child is at in their development, it can never hurt to work on language skills. I will be sharing my top five favorite books to aide in speech and language development and what specific skills they build. 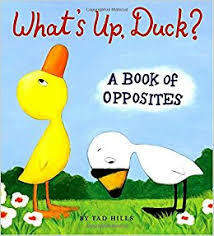 A favorite for both of my children! Available in a small board book, large board book and picture book. Goodnight Gorilla repeats the word, "goodnight" on almost every page and that repetition helps even young children feel like they are reading and fosters confidence. There are also a few pages without words. This encourages caregivers to ask questions about where the characters are going, or what will happen next! 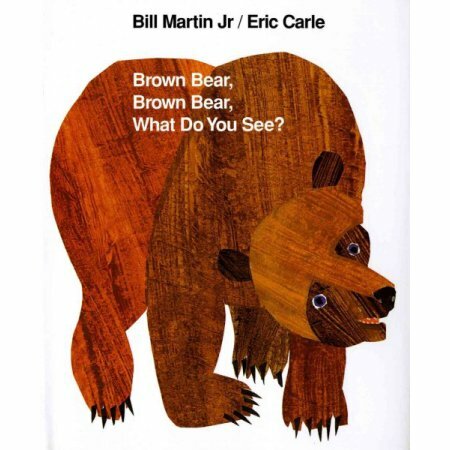 I love this version of Bear Hunt! This one would be perfect for a kiddo who isn't showing a lot of interest in books yet because of the snow globe. There are a lot of prepositions to learn about in this story! (Over, under, through etc.) Understanding prepositions is the beginning skill to following directions. Beginning speech and language skills are not always verbal. Receptive language often happens before expressive language. An example of receptive language while reading with a child would be asking them to point to specific character or where a familiar object is on the pages. This is an important step that is often overlooked! Don't be discouraged if your child isn't repeating phrases in a story, even turning pages and pointing to things they like are important components to literacy.